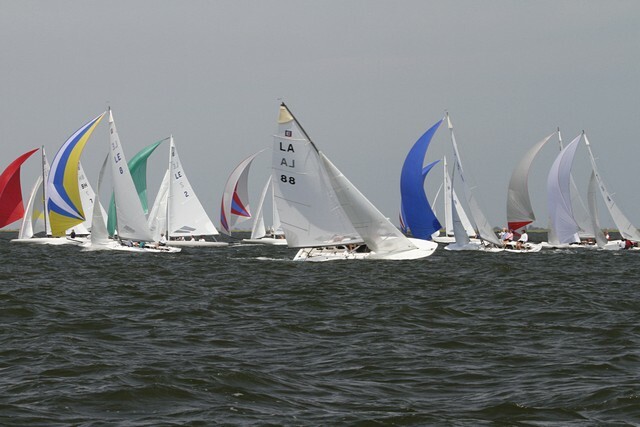 August brings the annual Downbay Regatta on Little Egg Harbor bay. 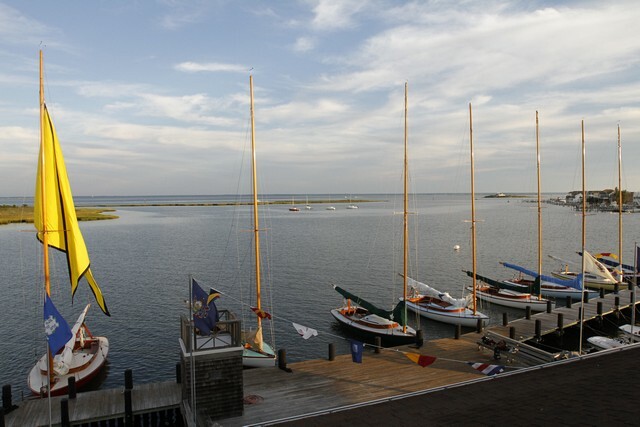 Dozens of sail boats from clubs along the middle and north Jersey coast as far as Bay Head arrive to participate in what is the most exciting club weekend of the summer. Participating hulls include cat boats, lightnings, E-scows and M-scows but the annual stars of the show are the handsome A-Cats. 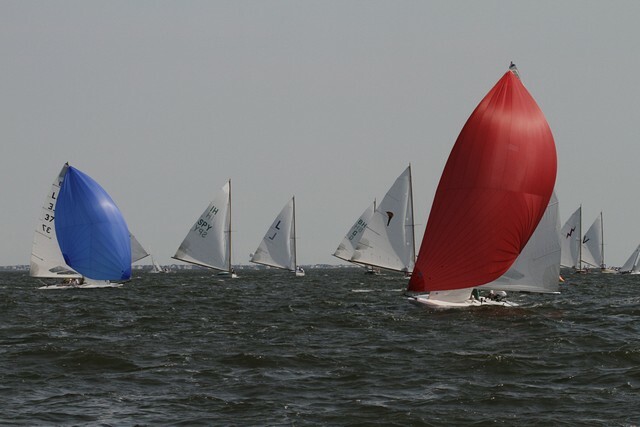 Seven of the thirteen on Barnegat Bay were towed in for this year’s event. A catboat is a characterized by a single mast carried well forward in the bow of the boat, a centerboard, a long boom providing plenty of sail, a wide beam approximately half the length of the boat, a single sail, and a “barndoor” rudder. Evolving in the late 19th century they were used for fishing and transport in the coastal waters around Cape Cod, Narragansett Bay, New York and New Jersey. Their shallow draft was particularly good for Barnegat Bay waters and, with their wide hulls providing lots of carriage space, they proved to be a great work and transportation boat. The A designation was created in 1923 for a larger recreational boat design that would carry five to ten people during racing. Best not be in the way! They are a formidable sight headed downwind. 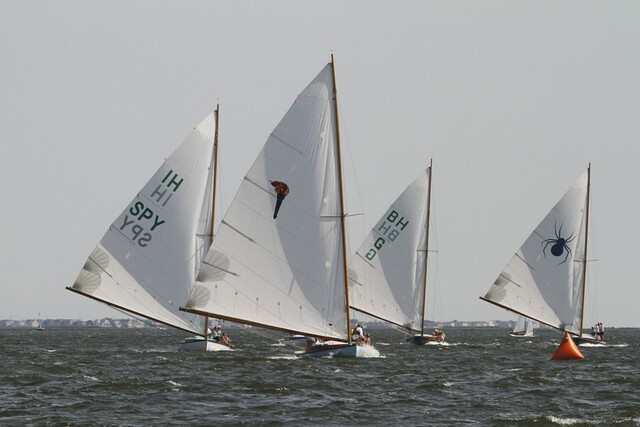 But the weekend is noted also for the variety of design classes, all racing simultaneously within their class on the broad sailing grounds of Litte Egg Harbor Bay. It’s amazing that there aren’t more collisions. Who's got the right of way? They’re also great for peaceful twilight sails. For some more pictures of the races click here. Wonderful August images Ralph. 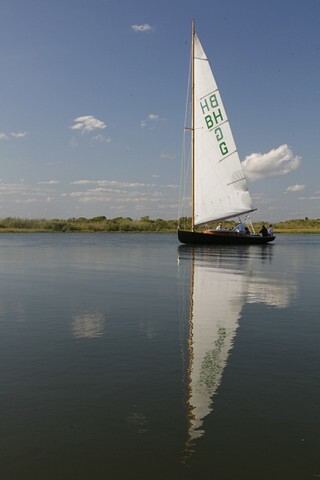 Love the Sailboat with reflection. Thanks for sharing. I really like “Dragging your feet” and “parallel masts”… never knew there were so many different kinds of small boats. « DID ANYBODY SEE WHICH WAY JULY WENT?